Hey! Sorry for the lack of posting lately. I have actually filmed quite a few videos that I hope to get on the site soon, but I have been very busy as you will see below. It is a good busy though – I am having a great summer. So let’s get into today’s random updates. So far I have responses from Jen Sinkler, Nia Shanks, Amber Rogers of GoKaleo, Krista Scott-Dixon of Precision Nutrition, Kellie Hart Davis of Mother Fitness, Molly Galbraith of Girls Gone Strong, Julia Ladewski, Stefani Ruper of Paleo For Women, Elizabeth Walling of The Nourished Life, Jen Comas Keck, and Marianne Kane. This is an awesome line-up and their responses have been great. Be on the lookout for that in the next few months and make sure to sign up for the newsletter if you haven’t already. 3. I am planning to do more and more posts on exercise technique and how to tweak certain patterns if you are having pain or failing to get better at them. Not only does an efficient movement pattern make you less likely to get injured, but it will also help you be stronger, which is always a good thing. Also, these posts tend to be some of my most popular so I know people are getting benefit out of them. Let me know if there is a certain pattern you are having trouble with and that you would like me to cover. 4. I wrote a blog post titled “A Call To Action: Make One New Positive Change In Your Life Today” a few months ago in which I said that one of my goals was to be more socially active by hanging with friends and/or family at least twice a month. Well, I am happy to say that I have been rocking this goal. I would guess I have been averaging at least one social activity a week. Usually, this involves golfing or going to the movies, but overall, I am happy I am doing it. I always feel like I am in a better mood after I hang out with my friends or family. 5. I recently read “The Art of Learning” by Josh Waitzkin, who is a beast. 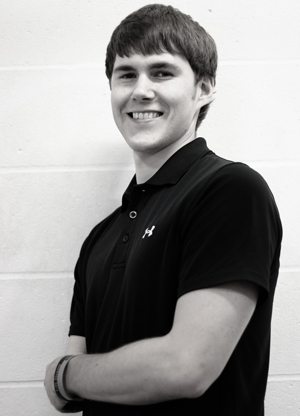 This dude won multiple national championships in chess (his first at age 9) before he was 18 and eventually went on to win a world championship in Tai Chi Chuan. His book explains his process of learning and mastery, as well as how he came to be a champion in chess and martial arts. His story is pretty amazing. 6. 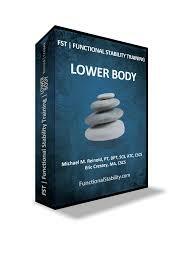 I know I have several fitness professionals and fairly advanced trainees that read this blog so I wanted to quickly make you aware of a great new product by Eric Cressey and Mike Reinold – Functional Stability Training (FST) for the Lower Body. I was able to get an advanced copy of this to review, and it is very good. Eric and Mike are two guys that I really respect in the industry, and I usually expect their products to be top notch. FST for the Lower Body was no different. It does get a little geeky with anatomy and assessments, but if you are looking to improve in these areas I highly recommend it. Assessments are super important for preventing injuries and taking your performance to the next level. Their approach and philosophy is also very in line with my my co-workers at IFAST and my own. 7. Lastly, I have many readers who request to see my training videos so I have posted a few below. These are just a few recent videos I shot on one of my lower body days. If you want to see more you can check out my youtube page HERE.